February has turned out to be a far busier month than I anticipated. We’re still doing a pretty good job of slowing down and turning down certain activities so that we aren’t busy seven nights a week, but sometimes it’s hard when there are so many fun things to do. Fact: there aren’t enough days in the week, or hours in the day! What’s really killing me is my Master’s class. I am literally in the home stretch—when I finish up this class in one week I just have my capstone class and then I am DONE in May, but I’ve spent far too many evenings lately working on discussion questions and papers and written tests. The extra time spent on school means there isn’t a whole lot of time for complicated recipes. Multi-course dinners that take two hours to prepare? Not happening, at least not right now. 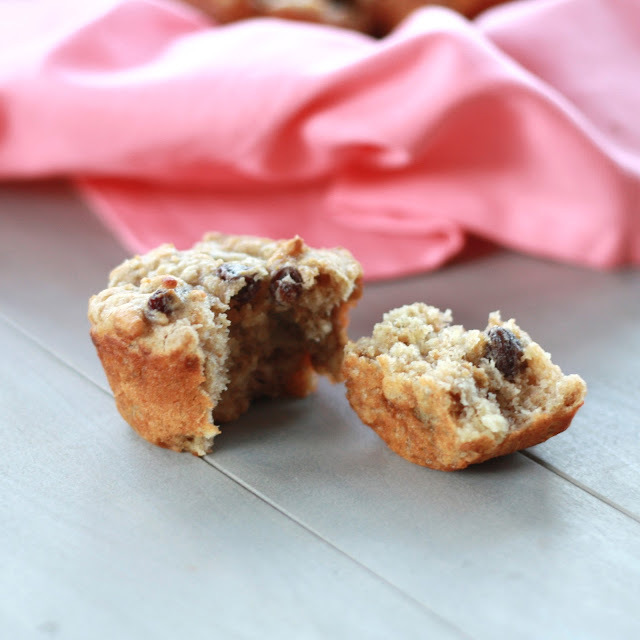 Fifteen minute muffins that don’t require a mixer? I’m all over it! So all over it, in fact, that I made these twice in one week. Yeah, I guess you could say we really (really) liked them. Let’s not do the math to figure out how many muffins we managed to dominate in just a few days...at least they were full of bran cereal, whole-wheat flour, and Greek yogurt! These baked up surprisingly light and while I kept it simple with a handful of raisins, you could easily add nuts or chocolate or even citrus zest! 1. Preheat oven to 400F. Grease a 12 cup muffin pan with cooking spray and set aside. 2. In a large bowl, whisk the egg with the oil and yogurt. In a separate bowl combine the flours, cereal, brown sugar, baking soda, and salt. Add the dry ingredients to the wet and stir just until combined. Stir in the raisins. 3. Divide the batter amongst the muffin cups evenly. Bake for 15 minutes or until an inserted toothpick comes out clean. 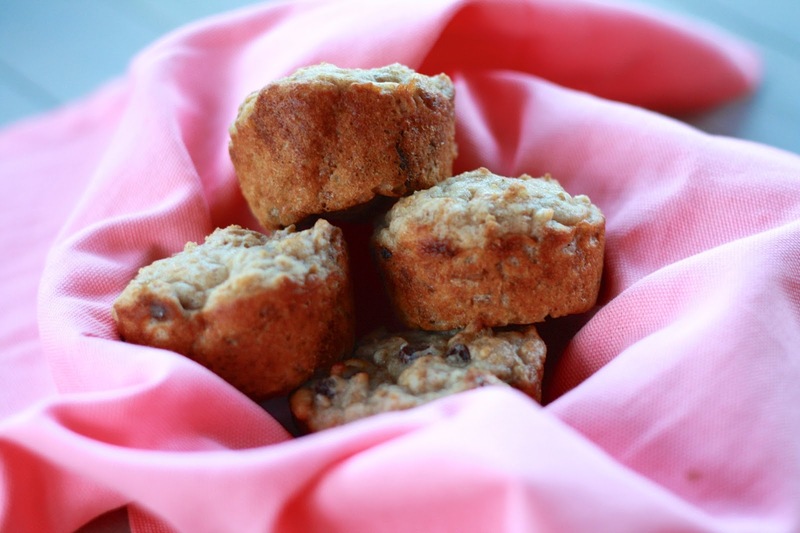 Allow muffins to cool for 5 minutes in the pan before removing and placing on a wire rack to cool completely.